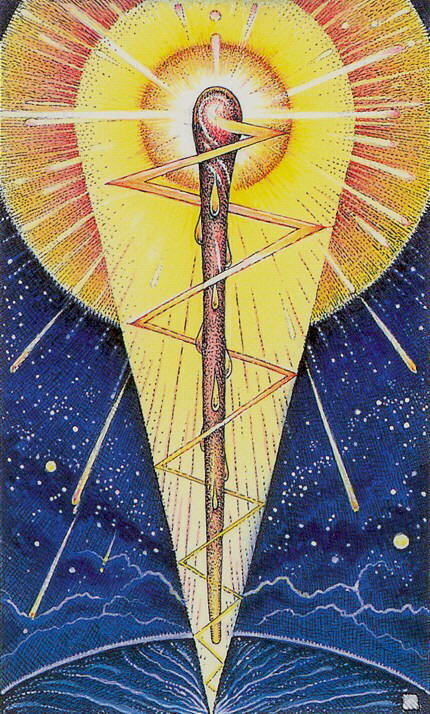 ← Tarot #40: XII Hanged Man/Trial, upended and suspended in between rising and falling. This is the rush of growth in the spring. The maniacal meandering of the mind into the wild heart of possibilities. Pure spiritual energy: a shot of life’s essence complete. It can be harnessed with great focus, but not without danger like breaking a wild horse. There is always energy loss in this process as well, but nothing comes without a price. Now is the time to launch your dream projects or take on the world fearlessly. Be bold and take risks use all your creative powers and burn brightly. You are ready to discover hidden talents and need to follow your desires like a flame follows fuel. This is a time to discover what resources you have inside and bring them out. 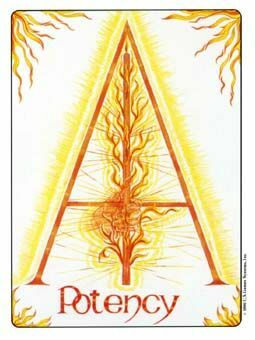 There is pent up spiritual/creative energy building up in you that needs and outlet, a channel or it will explode forth in possibly destructive ways. Look for joy and passion as your guide to making decisions. Follow your instincts, the wildness in your soul. This entry was posted in All part of the process, Being Human, capturing light, dancing, discovery and recovery, music, my mystic toolbox, Singing, thinking in words and tagged Ace of Flames, Ace of Wands, Aleister Crowley, Asra's Tarot, Burning Down the House, Cosmic Tarot, Druidcraft Tarot, Gill Tarot, L'Arbre de Pararadis, Margarete Petersen Tarot, Potency, Séraphine de Senlis, Tabula Mundi Tarot, Talking Heads, Tarot, The Arcana: a Mystic Romance, The Mary-el Tarot, The Wild Unknown Tarot, Wheel of Change Tarot, Zerner-Farber. Bookmark the permalink.